The petition, filed today by one SA Miyajan, who claimed himself to be a social worker, also sought exhumation of the body of the late leader for conducting a post-mortem to determine the "real cause" of her death. 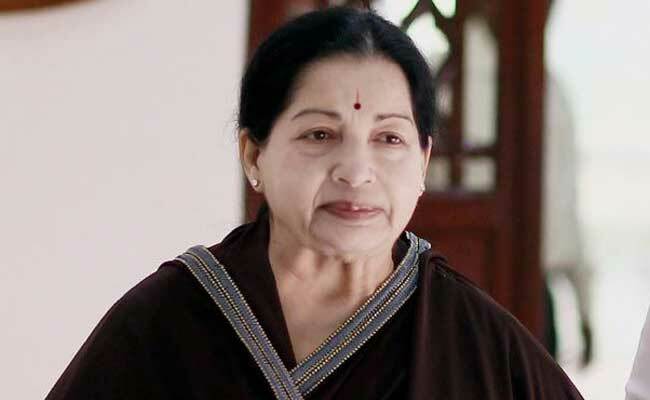 Chennai: A fresh petition has been filed in the Madras High Court seeking a commission of inquiry to investigate the death of late Tamil Nadu chief minister Jayalalithaa. When it came up before first bench comprising Chief Justice Indira Banerjee and Justice M Sunder, the judges directed that it be tagged along with petitions with similar prayers already pending and posted them for hearing on October 23. Petitions, including those by IRS officer B Balamurugan, Assistant Commissioner of Customs, Central Excise and Service Tax Tribunal, and social activist Traffic Ramasway, have been filed earlier seeking a probe into the death of Ms Jayalalithaa on December 5 last year at a hospital here after prolonged illness. Mr Balamurugan has sought direction to the state government to form a panel headed by IAS officer U Sagayam to probe the circumstances leading to the death of Jayalalithaa. In the present PIL, the petitioner alleged the death was "mysterious" and there appeared to be human negligence and that the public was anxious to know the real cause of death of their leader. He sought appointment of a judicial inquiry commission headed by a retired high court judge assisted by two leading doctors to ascertain the real cause of death of Ms Jayalalithaa at Apollo Hospitals. The cause cannot be ascertained based on the available hospital records, hence post-mortem was necessary, he submitted. He requested the court to direct the union home secretary to order an inspection of the body by exhuming it.